In Year 5 the focus is on the honing of skills in Verbal and Non-Verbal Reasoning, comprehension, creative writing and mathematics in readiness for the 11+ and senior school examinations. 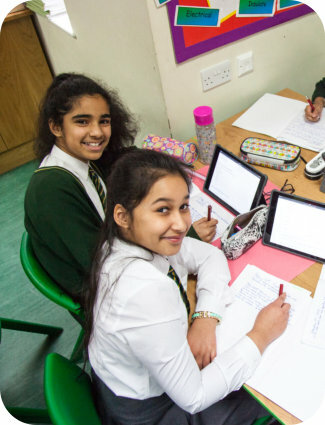 An emphasis upon mental agility, pace and reasoning also helps to complement teaching strategies which draw upon modern technology such as iPads alongside more traditional methods. Pupils also benefit from subject specialist teachers in English and mathematics throughout the two year programme, allowing for continuity in learning over the examination period. Once the examination process is complete, Year 6 pupils enjoy an enrichment programme, including a residential outdoor learning trip, business enterprise projects and workshops which offer a challenging and stimulating taster of senior school life.